In 1973, the performer Hugo Zacchini sued Scripps‐Howard Broadcasting after one of its news programs aired his entire act on television — an act in which he shot himself out of a cannon at an Ohio county fair and landed in a net 200 feet away. The case made it all the way to the Supreme Court, which found in his favor, saying, essentially, that if someone could watch the whole thing on television, why would they bother to get off the couch and see it in person? Today, a new set of cases is nudging the legal boundaries of who controls certain performances. This dispute centers on dancing avatars in Fortnite Battle Royale, one of the biggest video games in the world, and whether the moves they do are owned by somebody else. Among those moves, according to the complaints, filed beginning in December in Federal District Court in Los Angeles, is an enthusiastic back-and-forth arm-swinging motion that looks just like the Floss, a speedy little dance created by Russell Horning, a teenager from Lawrenceville, Ga., who goes by the name Backpack Kid. And there is a swishy-swaying motion, which the complaint says is identical to the Milly Rock, created by the rapper 2 Milly. Mr. Ribeiro, 2 Milly and Backpack Kid’s mother (on his behalf) are suing Epic Games for copyright infringement. They are also suing Take-Two Interactive Software, maker of the NBA 2K games, which also allow players to buy the dances. The plaintiffs’ lawyer, David L. Hecht, said that his firm has spoken with a “significant number” of people about bringing similar claims and that he has hired a team of people, mostly in their 20s, to play video games for him as research. Mr. Hecht said more suits are in the works, and a quick internet search suggests he could easily fill a courtroom with clients. One video posted on YouTube shows 58 Fortnite emotes, including fairly simple gestures and high-energy dances, alongside what appear to be their original references. The video has been viewed more than 28 million times. Epic Games said it would not comment on ongoing litigation. Take-Two did not respond to a request for comment. The companies have not yet filed their defenses in court, though they are likely to argue that the dance moves cannot be copyrighted. The lawsuits are among several recent cases testing copyright laws that were written in a vastly different technological age. Indeed, as digital animation has become richly vivid and detailed, even who owns the rights to tattoos drawn on athletes’ bodies has become an issue in sports video games. But while there is plenty of case law regarding the copyrighting of songs and written works, there is far less in the record regarding choreography. One case several years ago involved Bikram Choudhury, the now-disgraced yoga instructor, who tried to copyright a “hot yoga” sequence as a choreographic work. He lost. Several intellectual property lawyers suggested there have not been a lot of choreography cases because there is not a lot of money in choreography. And while they were tickled by the Fortnite cases (“Fortnite meets ‘Flossing,’ it’s the perfect storm of things!” said Jeanne Fromer, a professor at N.Y.U. law school.) they were generally pessimistic about the lawsuits’ chances. When deciding if a dance is eligible for copyright, courts look at a combination of factors, including its level of creativity, its complexity or length, and whether the work was independently created. You can’t copyright a musical note or a word, for example, but string enough of them together and you’ve got a song you can own. Individual dance steps are likewise not copyrightable, according to the copyright office’s rule book. And the dances targeted in Fortnite are all quite short. 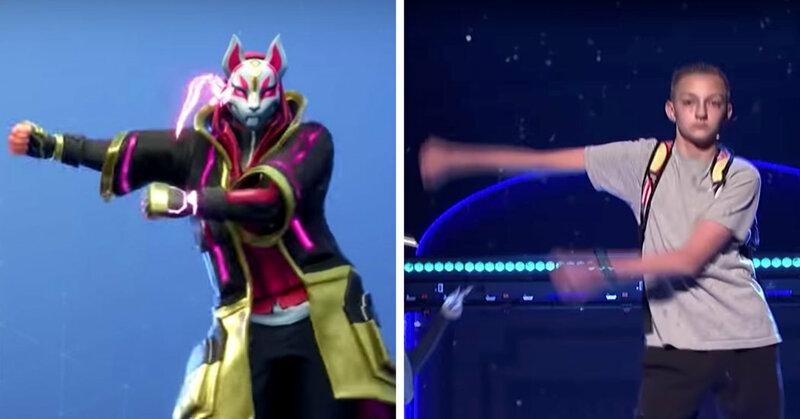 Mr. Hecht argues that what’s used in Fortnite are “the most identifiable, signature aspects of those original performances.” The fact that the dances are available individually for specific prices — about $8 for the Fresh and $5 for the Floss, according to the complaints — makes their sale especially egregious, according to Mr. Hecht. Mr. Hecht, along with Chance the Rapper, has also accused Epic Games of exploiting the works of black artists in particular, though in the case of Fortnite, the YouTube clip of 58 emotes shows plenty of work by performers of other ethnicities. Even if a dance is deemed long enough, there are other hurdles. For example, the United States Copyright Office will not register what it calls a social dance, like ballroom dancing or break dancing. Another argument in the Fortnite lawsuits is that those shimmying avatars are violating the performers’ “right of publicity,” which gives someone control over things like their likeness, name and voice. The human cannonball dispute was this kind of case, and Vanna White once sued Samsung for an ad featuring a blond, begowned robot flipping over giant letters. Both Ms. White and the cannonball, Mr. Zacchini, won, but intellectual property lawyers said this argument, too, is likely a long shot against Fortnite. Ms. Fromer, the New York University law professor, said that she, too, would expect these suits to fail in the face of current copyright law, but given the power of memes and video snippets in our culture, she wondered if they should. “I’m more intrigued by whether we ought to be re-evaluating copyright law in a world where we have bite-sized works and larger works, as well,” she said. Next PostNext What if Cities Are No Longer the Land of Opportunity for Low-Skilled Workers?